First landing on ice-free runway Marble Pt. Antarctica. 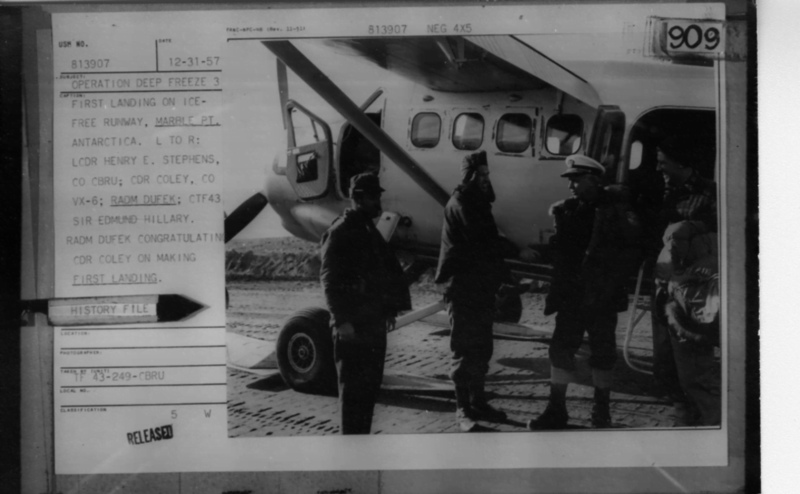 L to R - LCDR Henry E. Stephens Co CBRU - Cdr Coley Co VX-6- RADM Dufek - CTF43 Sir Edmund Hillary. RADM Dufek congratulating CDR Coley on making first landing.